ApexNetwork is happy to announce the opening of their latest location in Chesterfield, MO! ApexNetwork provides the St. Louis community the highest quality physical therapy services; assisting people of all ages and occupations to achieve their goals, perform at their highest level and excel in health and fitness. The Chesterfield clinic is a full service therapy provider and offers physical therapy, sports rehab, industrial rehab and instrument-assisted soft-tissue mobilization. We are located at 13732 Olive Boulevard in Chesterfield, MO. If you are a patient, employer, physician, case manager or insurance company, ApexNetwork invites you to stop by for a visit. For more information or to schedule a future appointment in Chesterfield, please call 520-335-1615. 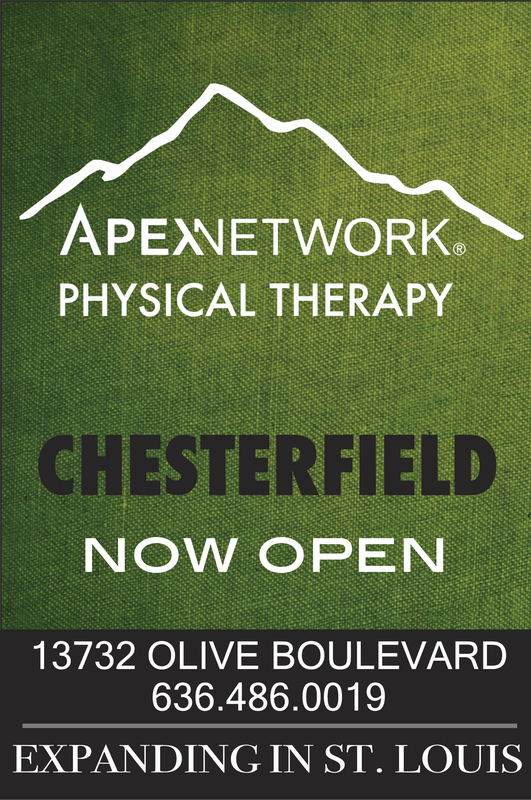 New ApexNetwork Physical Therapy Location in Chesterfield, MO! ApexNetwork Physical Therapy Sierra Vista, AZ Is Now Open! ApexNetwork Physical Therapy Is Changing The Way Soft Tissue Injuries Are Treated!